I fully believe that Rakim had no intentions of coming to Clemson and was just using us as leverage. UGA and UT, Smart and Pruitt... What do you think he could be using a potential visit to WRU (Clemson) as leverage for? Ford Raptors are really nice. Football in the basketball thread? all of the basketball poasts in the football section. He wanted to talk football and lower his pulse. Since the TNETs love football posts he figured the only way to hurt his pulse was to post it in a basketball forum. 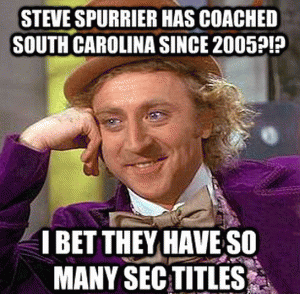 That and posting about a guy that we all know isn't coming to Clemson helps his chances. I thought everyone gave up after on making a video after Tee Higgins because they knew they couldn't compete. Lots and lots of talent on the Buckeyes roster , but no Urban Meyer . Where do they go from here ? I know they're still loaded , but losing a HOF head coach is well ... not good . I wish them continued success of course , cough . When the video is done? I don't watch the Oscars...the Grammys, or high school recruit commitment videos. Sends out the wrong vibe...for me. QB-wise at tOSU, aside from a QB being rated #1, is there proof there's anyone on the roster who can get the ball to their Academy Award-winning WR's? What ESPN thinks isn't enough to go on, in my opinion.